Want it by Wednesday 24th April? Order within 3 days, 12 hours, 14 minutes and choose Royal Mail Tracked 24 Hour at checkout. 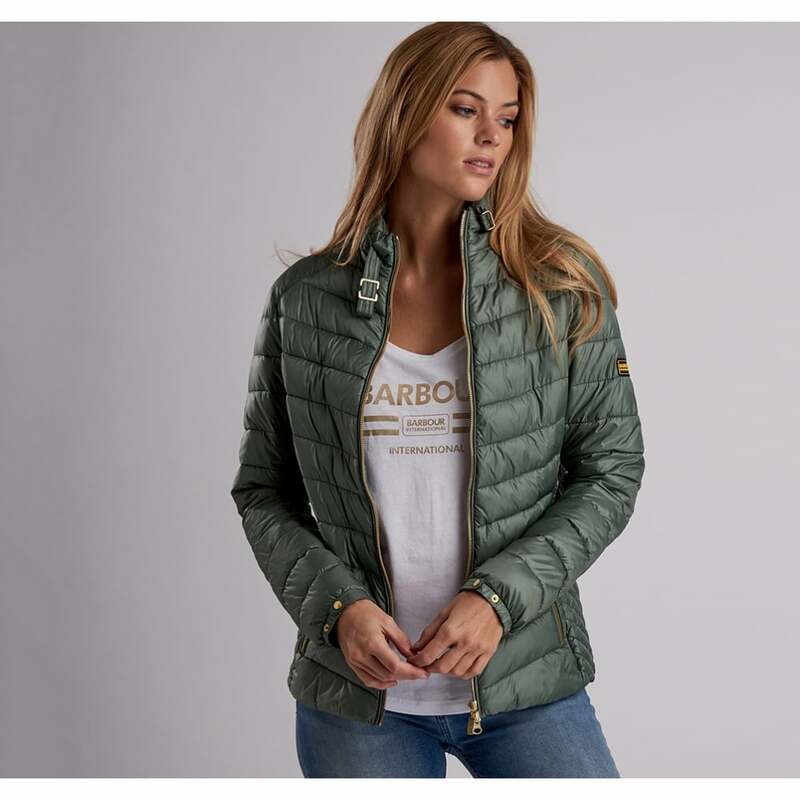 This quilted jacket has been designed using a mixture of baffle and Chevron quilting to create a flattering, fitted shape. Luxurious trims, exposed zips and studded collar all add to the iconic International design. Perfect for cooler days this slim-fitted jacket comes in two fun springtime shades- we can't quite decide which one we prefer!